Road trips are a wonderful way to enjoy the United States. So much so, that many Americans and up taking their own road trips each year in the country. Residents of Canada and Mexico frequently come to the United States for road trips as well, thanks to the close proximity. You can enjoy the United States this way when you visit by renting a vehicle. With the plethora of car rental choices available to you, it doesn’t need to be difficult to plan an inexpensive yet fun driving holiday. With a little bit of road trip planning, you will be well on your way to enjoying one of these self-drive tours. For those who prefer a semitropical beach holiday, taking a tour through Florida’s beaches is an ideal solution. From Amelia Island to South Beach, you’ll get to sample some of Florida’s most beautiful beaches and most rugged coastlines. Although the beaches are the highlight of this self-drive tour, you’ll also get to see a glimpse of Florida’s interior forests. 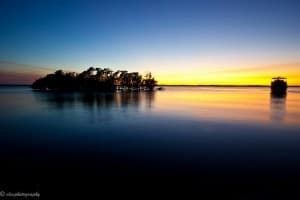 The Everglades and Mount Dora provide the perfect place for hiking, camping, and other summer activities. This is a great escape that allows a little bit of everything to be experienced. For this lovely New England holiday self drive tour, you’ll start in Boston. This will allow you to fly in from wherever you are easily. From there, you’ll rent a car and head out into the New England countryside. 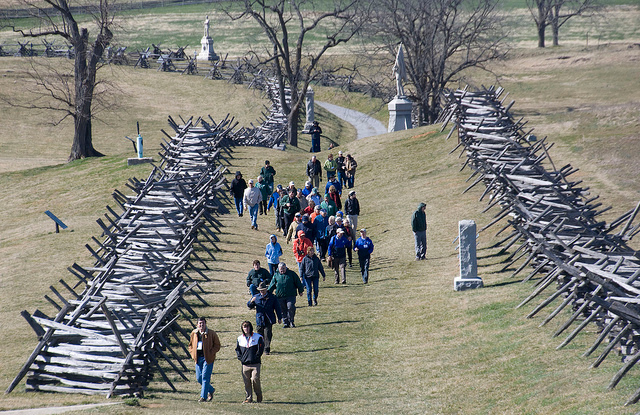 This is a great trip to take in the fall, between the months of September and November. This is when the leaves are at their brightest colors in New England, with vibrant reds, oranges, yellows dominating the countryside. A variety of beautiful little inns or bed and breakfasts dot the landscape, allowing you to stop for rest almost anywhere. As you travel through, be sure to sample the local seafood. Plan lots of time for this trip; you can expect this trip to take you approximately 2 weeks. You’ll start and beautiful sunny Los Angeles, which is almost tempting enough on its own. From there, you’ll travel to Palm Springs, eventually reaching the Grand Canyon and Lake Powell. That’s the great thing about this self drive tour; you’ll experience everything from beautiful Pacific beaches to Death Valley National Park and onto Yosemite National Park. Is a multifaceted self drive tour that can provide you with true glimpse of Western America. If you prefer a holiday with plenty of outdoor activities, dazzling mountain scapes, and plenty of fresh ahe Rocky Mountains in summer is the perfect holiday itinerary. 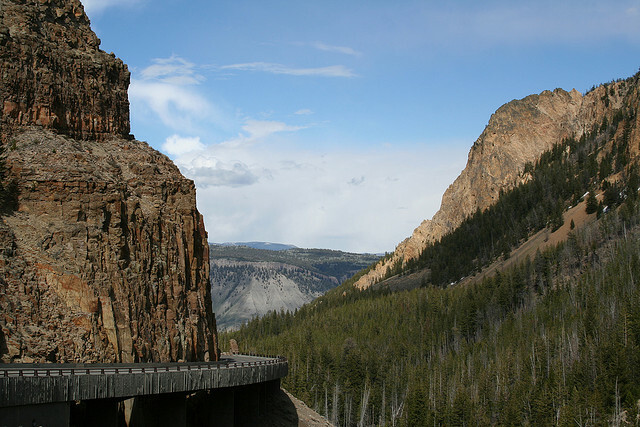 This self drive tour will take you from Denver through Colorado Springs, where you’ll continue under Grand Junction, Salt Lake City, Yellowstone National Park, and on through Cheyenne and Estes Park. This is the perfect holiday to take in late summer, although spring and fall are equally nice as well. There’s plenty of swimming, camping, fishing, and hunting, but amenities are nearby to most of these locations if you prefer a bit of comfort. This tour will take you approximately 20 days. This plenty of history to be found in the deep South, and the self drive tour will take you through several of the most famous historical areas. Atlanta was once a hotbed of social activity, before the Civil War tour the country apart. Nashville is the home of country music, and Memphis isn’t far behind in that regard. From Lafayette through New Orleans, you’ll enjoy plenty of Creole food, friendly locals, and celebrations. New Orleans amazing around Mardi Gras, so this trip should be held around the same time as possible. Pensacola and Montgomery will finish off your trip, allowing you to get the beaches with ease. This self drive holiday is designed to allow you to see the best of the United States all in a single trip. Kootenay National Park actually begins in British Columbia, Canada, but it’s an excellent starting point for this trip. You’ll travel on from there to Yosemite National Park, where you can hike and swim. The White Mountains are next on your list, and then the Del Monte Forest. Dinosaur National Monument and Boothbay Harbor all provide plenty of historical interests, and the Great Smoky Mountains are known for their beauty. You’ll continue on to Big Bend, Mt. 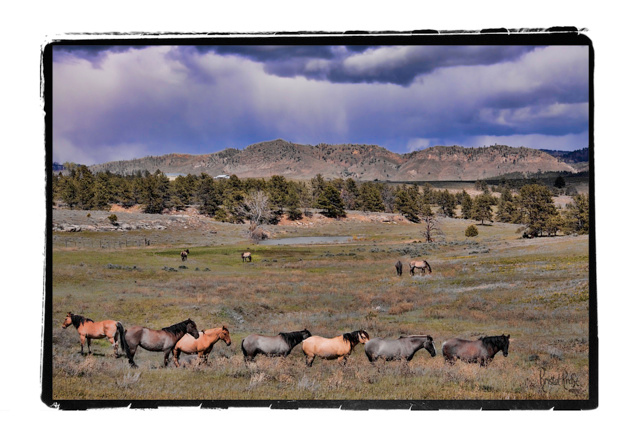 Vernon, and the US’s Wild Mustang Sanctuary, where you can catch a glimpse of the horses that remain wild to this day. This is a road trip that’s designed for those who want to experience the USA from The East Coast To The West Coast. You can expect this trip to take approximately 20 days, although it can be done in 16. 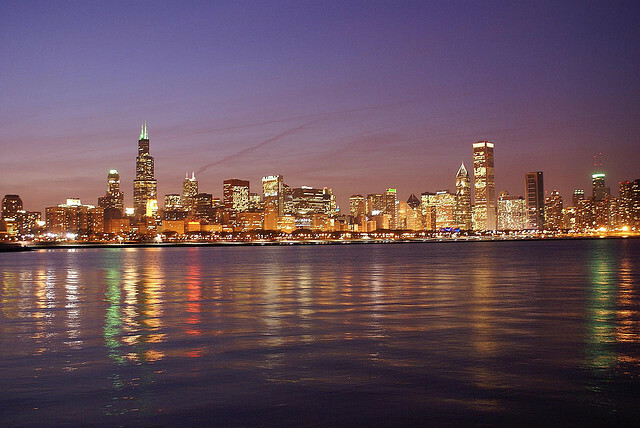 You’ll start in the Midwest, in bustling Chicago, where you’ll travel on to St. Louis in Springfield. These are all busy cities, but they hold their own charm. From there, it’s on to Amarillo, Oklahoma City, Albuquerque and Santa Fe. 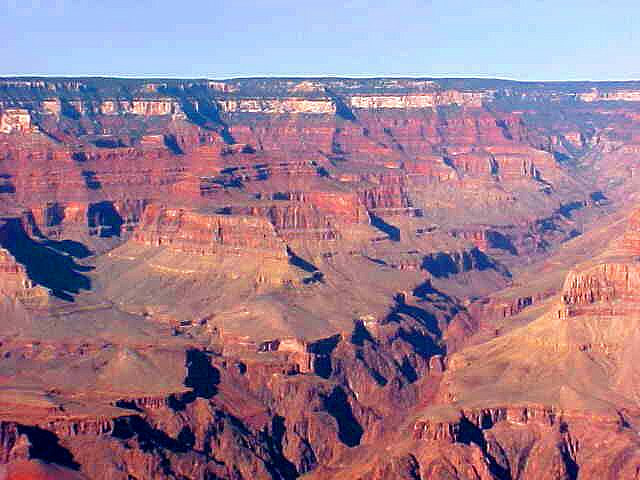 Then, Holbrook in the Grand Canyon National Park invites you to come and enjoy their beauty. From there, you’ll reach Las Vegas in Santa Monica, and then onto Los Angeles. This trip is great for those who prefer to see the natural beauty around them, while sticking close to amenities. Enjoy the best of the North West with this Western frontier self drive tour. 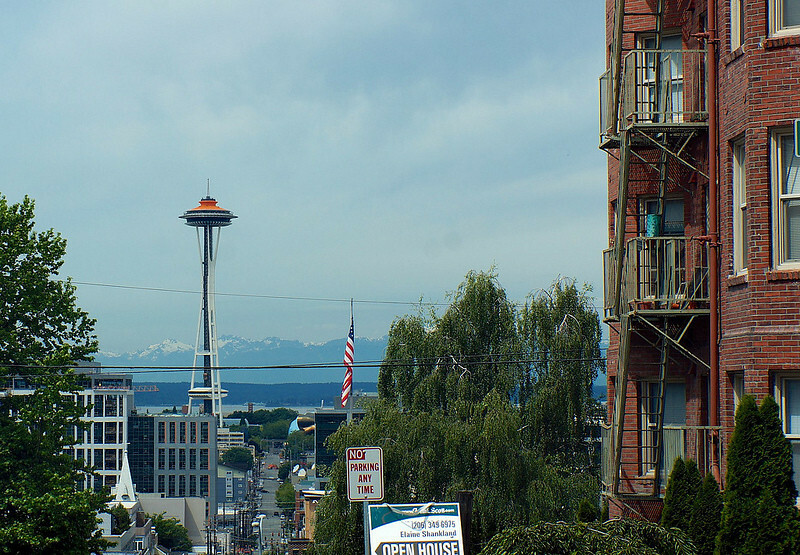 You’ll start in busy Seattle, and you’ll even wander into Canada briefly. If you enjoy spending time in national parks, this tour will take you through several the most beautiful national parks in all of Canada and the United States combined. Thanks to the inclusion of the Grand Teton Mountains and the Bonneville Salt Flats, you’ll be able to catch a glimpse of some of the Northwest most beautiful landscapes. You’ll end in wine country, where you can spend some time relaxing. There is so much to see in the glorious USA while on a solo road trip in America. These road trip adventures will give you a great starting place to plan the trip of a lifetime. Road Trippers in Iowa!! At times, road tripping is tough. Though many regard driving as one of the most rewarding ways to travel, on any road trip there are bound to be long stretches of monotonous landscape that seem to lack opportunities for excitement and adventure. However, nearly every place you can drive while on a solo road trip in America contains hidden sights worth exploring. Road tripping through the Midwest can be the most tiresome travel experience for those unwilling to venture off the beaten path. These Iowan attractions prove that there is always entertainment and beauty on the open road ― if you know where to look. Far into western Iowa, the quiet town of Ida Grove has slowly slipped backwards in time. From the highway, visitors can see the massive battlements of a medieval-style castle and structures housing siege engines ready for pitched warfare, all guarded by knights in full mail and armor. Even mundane construction details, like a bridge over a golf course, have been remade in medieval fashion, making for an over-the-top stop on your road trip. 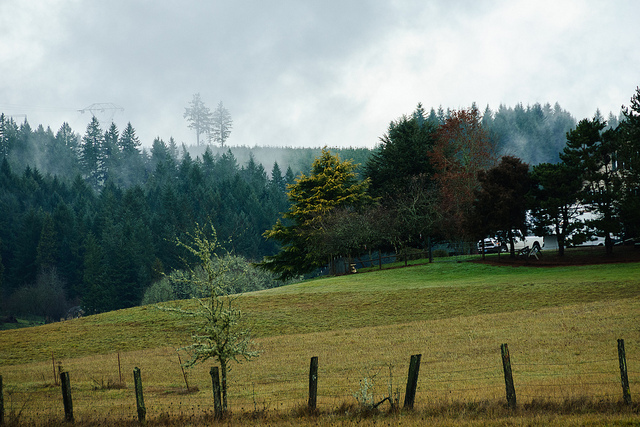 You can probably imagine a barn ― the red paint, the gabled roof, the smell of farm animals. However, you’ve probably never seen the types of barns you can find in Iowa. Every year, the state ranks and organizes its barns into a massive tour, including only the most beautiful and most historic structures, like the Handsaker Barn built in 1853. For the best tour, you should select a centrally located hotel on Expedia and explore the countryside from there. You might know about Babe ― Paul Bunyan’s giant blue ox ― but the world’s largest bull, Albert, is probably a surprise. Standing over 30 feet tall and 33 feet long, Albert is Audubon, Iowa’s peaceful guardian and a perfect representation of what Hereford bulls should be. When you visit, you can’t miss the informative kiosk next door that tells of Albert’s past and future. Though the strawberry that Strawberry Point, Iowa is known for was not grown, but made, the gigantic red berry atop a post before City Hall is certainly worth a short detour on your road trip. Created in the late 1960’s, the fiberglass strawberry is more than 15 feet tall and will probably inspire your next dessert choice. For 42 years, a German priest named Paul Dobberstein worked tirelessly to construct a shrine to the Virgin Mary as repayment for saving him from death by pneumonia. More than half a century later, Dobberstein’s Grotto of Redemption in West Bend, Iowa stands as a tribute to his religious fervor. The largest grotto in the world, this shrine is covered in precious gems and rare rocks, but its story is the most compelling reason to schedule a visit. The memorable phrase “If you build it, he will come,” remains truer than ever. In 1988, Hollywood constructed a baseball diamond in the middle of a cornfield, and movie buffs and baseball fans still flock to the site for a visit. In fact, this simple ball field in Dyersville, Iowa is one of the state’s biggest tourist attractions. Still, the place has some magic; during lazy summer Sundays, most guests swear they see a ghost ballplayer or two. The most prominent captain of the U.S.S. Enterprise, James T. Kirk’s life is as well-known as any historical figure. The only problem is Captain Kirk’s story takes place in the distant future. Yet, that doesn’t stop legions of Trekkies from visiting Kirk’s future birthplace, in Riverside, Iowa, every summer. One of the biggest Star Trek conventions on Earth, Trek Fest commemorates Kirk’s birth most of all, and fans can journey to see his eventual birth site in the town park. There is nothing creepier than an unsolved murder spree. Such an event took place in Villisca in 1912, and despite the supreme violence, the murderer remains unknown. You can visit the house, learn the gory details, and decide for yourself who killed the Moore family while they slept. Spook Cave is a tourist trap at its finest; with barely a billboard advertising its whereabouts ― and absolutely no material explaining who the spooks are or why they dwell in the cave ― the site attracts millions of visitors every year. Still, the journey through the cave is thrilling, like an amusement park ride before safety standards. Do you ever dream about traveling full-time? Getting a job you can do from the road, and then never getting off the road? Maybe it’s time to join the legions of people living in RVs and seeing the world. We’ve already written about the benefits of leisurely driving over stressful air travel, and full-time RV living takes this method of travel one step further. No, RVs aren’t just for retirees anymore – plenty of web writers, online consultants, entrepreneurs and general travel nuts are embracing the simplicity and flexibility of the RV life. Living in an RV is a great way to visit far-flung relatives and friends, to see the jaw-dropping canyons, forests and mountains of the continental United States, and to embrace life off the rat race. Although many people assume that RV living is more expensive than at-home living, it is often the opposite – used RVs are often available for under $10,000, and free parking and camping reduces your daily living expenses to near zero. Adam Baker of Man Vs. Debt managed to pay off thousands of dollars of consumer debt while traveling the country in an RV with his wife and daughter. Other financial bloggers, like Tynan of Tynan.com or Jacob of Early Retirement Extreme, have embraced the low cost and high value of full-time RV living. What do you need to do in order to get started on the RV life? Some people romanticize the RV life and ignore the realities. Yes, you’ll need to know how to change a tire, but you’ll also need to know how to empty your sewer tank. Even though RV traveling is like taking your home with you, the maintenance and work required is more than that of your average home or apartment complex. You need to fully understand how to manage a home as well as a motor vehicle, and be prepared for anything from a stopped sink to a faulty transmission. You’ll also need to be prepared to handle the rules of the road, including finding RV-appropriate parking spots and keeping track of the myriad laws regulating recreational vehicles in residential and business zones. With that in mind, it’s a good idea to take RV life for a test drive. Travel blogger Austin Yoder details the importance of an RV test run and specifies what you need to check during the test period: can you sleep in the RV? Can you access internet when necessary? Can you manage shopping and preparing food? If a single weekend of RV living wears you out, you’re probably not ready for the full-time road life. Unless you already have money set aside, you are likely to need to earn an income while on the road. Some people naturally gravitate towards online businesses like content writing, Skype tutoring, or Etsy shops; others prefer a more hands-on approach. If you’re in the latter, consider a service like Workamping, a temp agency of sorts for RV travelers. With Workamping, you register your skills and find local hands-on work, such as park maintenance or janitorial work, as you travel from town to town. Some people use Workamping specifically for seasonal work, such as fireworks sales in summer and Christmas tree sales in winter. No matter what type of work you choose to do, you need to plan in advance and make sure your estimated income exceeds your estimated expenses. Don’t set up your Etsy shop or Workamping registration after you’re on the road; this is the sort of thing you need to do before you ever leave your driveway. It’s no surprise that an average household’s belongings won’t fit in a standard RV. Some people choose to put their stuff in storage, but if you’re really committed to the RV life, it’s worth it to have an extremely large yard sale or make a tax-deductible Goodwill donation. Living in an RV literally changes the way you view possessions and “junk,” and people who successfully transition to the full-time RV life become minimalists as a result. If you’re not quite sure whether you’ll enjoy RV living, consider six months of storage before you start giving away your record collection or stacks of books; once you decide to go pro, however, it’s time to de-clutter, get rid of the stuff, and roll on down the road. There are as many types of RVs as there are people. Some have minimal functionality, acting simply as a van with a bed in the back, and others have full-fledged showers, refrigerators, air conditioning and wi-fi routers. Some travelers are happy to use camping toilets and bucket baths, and others require a few more creature comforts. The fancier RVs of course come with a slightly higher price tag, but it’s worthwhile to search the RV Registry to find new and used options in your area. Some people buy an RV only for a few seasons, and sell it while it’s still in fantastic condition. Make sure to see any RV in person before you purchase; don’t ever buy a vehicle sight-unseen on Craigslist. If you have a successful RV test drive, chances are you already know what amenities you need and what features you can live without. If not, ask to spend a day or two in the RV before you make your purchase. It’s essential to knowing whether you’ve chosen the right rig for you. Don’t set out on your first RV trip alone. Register with an RV community and use the forums and other community sites to talk to seasoned travelers about their experiences. RV.net and RVForum.net are great places to start, and they’re great ways to meet new friends both online and in person while making sure you don’t make RV newbie mistakes. When you’re at an RV campsite, introduce yourself to your neighbors. You can learn a lot about RV travel and surviving the road, and it’s also a great way to stay socially active after a long day cooped up in your vehicle. RV travel can be isolating, so joining the local community is essential to maintaining both connections and sanity. What else do RV travelers need to know about full-time RV living? Have you successfully taken a long-term RV trip, and what did you learn on the way? Grotto of Redemption image by L. M. Bernhardt from Flickr. I’ve been meaning to plan a cross-country road trip for so long now and this has inspired me to start planning. I have to drive from Nola to DC this summer so I might start by reversing part of the Deep South trip to make some cultural stop along the way! This is a great little list! !